Tata Motors, India’s largest automobile company by revenues, and Italian-American firm Fiat Chrysler Automobiles (FCA) ended their marketing tie-up two years ago but are set to extend their partnership on product development and manufacturing. Business Standard has learnt, from industry sources, that the two are working on local development of FCA’s two-litre multijet diesel engine, which will power two of Tata’s premium sports utility vehicles (SUV) and FCA’s new compact SUV, marketed under the ‘Jeep’ brand. All three vehicles will hit the market around 2017. The strategy is designed to benefit both sides. FCA will get increased economies of scale for local manufacturing of the same engine at the Tata-FCA joint venture (JV) manufacturing facility at Ranjangaon near Pune. 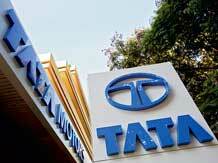 Tata will get access to a new-generation turbo-charged diesel engine, which it can use across a variety of products. “This new engine is key to continuance of the partnership between Tata and Fiat, as it has big benefits for both. Till date, Tata Motors has sourced technologies such as the 1.3-litre multijet diesel engine and gear boxes from Fiat,” said a source close to the development. A Fiat spokesperson replied on similar lines. Tata will use the two-litre diesel engine on two new premium SUVs being developed jointly with its UK-based luxury car arm, Jaguar Land Rover. The first vehicle, codenamed ‘Q501’, will be a five-seater version, while ‘Q502’ will be a seven-seater variant. Both will be sold in the domestic and export markets such as South Africa, West Asia and Indonesia. Tata Motors had sent the Request For Qualification for the two vehicles to automobile suppliers earlier this month, with target volumes of 50,000 units a year for both SUVs. FCA is expected to first use the engine locally in a C-segment SUV sold under its Jeep brand. The SUV, codenamed ‘554’, will see a global launch in India. Italy’s Fiat, which completed purchase of US-based Chrysler and its sub-brands, including Jeep, in January 2014, had earlier said it would launch the Jeep brand in India in 2012. However, the company delayed its plans. It now hopes to launch the brand with two premium SUVs, Grand Cherokee and Wrangler, this year. While Tata Motors has several automotive plants in India, including at Sanand (Gujarat), Jamshedpur (Jharkhand), Pantnagar (Uttarakhand) and Pune (Maharashtra), the Ranjangaon JV facility is the domestic-only plant for Fiat. With an annual production capacity of 160,000 cars and 350,000 engines, the facility makes the Tata Zest, and Fiat’s Punto Evo, Linea and Avventura models.